See Auckland from a new perspective. 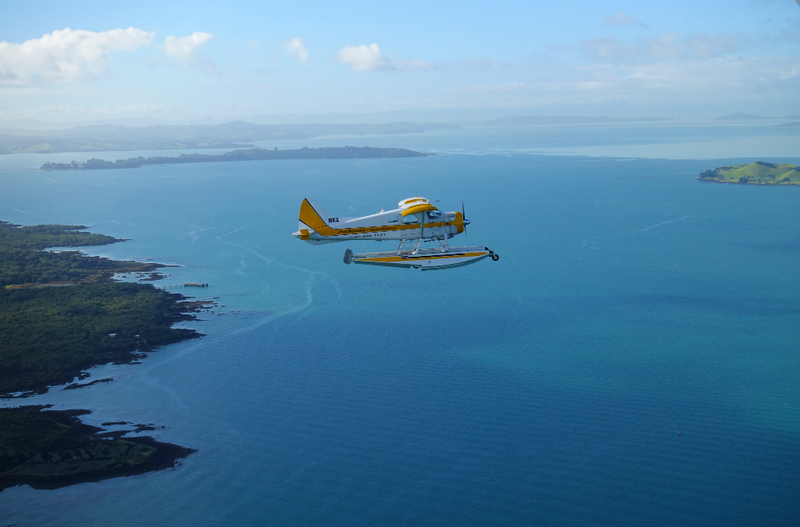 We are proud to have partnered with Auckland Seaplanes to bring a new experience to our Club room guests. Located in the majestic Wynyard Quarter, Auckland Seaplanes is just a short trip from the hotel and offers scenic flights, adventure trips and island-hopping experiences. By blending adventure, history and a bit of romance, Seaplane flights showcase the very best of the Auckland region, from the stunning city skyline to the breath-taking coastal vistas of the Hauraki Gulf. Winners of multiple TripAdvisor, Luxperience and New Zealand Tourism Awards, Auckland Seaplanes deliver a first-class flying experience that features plenty of photo and video opportunity with the vast panoramic views on offer. All guests staying at Crowne Plaza Auckland in a Club Room or Suite are eligible to receive a $30 discount on Auckland Seaplanes flights or packages. Check out the full range of flights and packages on the Auckland Seaplanes website, book your stay in a Club Room at Crowne Plaza Auckland and get in touch with our concierge or front office team to book your Auckland Seaplanes experience. Terms and conditions apply. Bookings are subject to availability and blackout dates may apply at the discretion of Auckland Seaplanes. $30 discounted is limited to one flight, per person, per stay at Crowne Plaza Auckland. Discount can be used for any Auckland Seaplanes Scenic Flight, Fly and Dine, Fly and Stay or Package Tour. Guests must be staying in a Club Room or Suite at Crowne Plaza Auckland to receive discount. Guests must contact Crowne Plaza Auckland concierge or front office team to book their flight for the discount to apply.